Berkeley Energy delivers profitable clean energy projects into global emerging markets that provide sustainable benefits to people and the environment. Berkeley Energy perseveres to ensure its projects are delivered responsibly and with integrity. At all times, we aim to achieve this by building the trust of our stakeholders and employing rigour in our professional approach. Berkeley Energy, founded in 2007, has deep renewable energy and power engineering, construction and investment experience in developing markets, where it is a focused investor, developer and deliverer of renewable power assets. Berkeley Energy works with its partner companies to provide engineering, management and financial support, whilst offering the ability to act as a bankable sponsor for renewable power projects. Once built, Berkeley Energy matures and consolidates its assets regionally or by technology into operating portfolios which it would seek to exit. Our approach is hands-on, asset-first, technically orientated. We look to achieve our returns through holding equity in well-conceived and constructed projects. Berkeley Energy has offices in London, Singapore, Nairobi, Mauritius, Delhi and Manila. Members of the group are authorised and regulated by the United Kingdom Financial Conduct Authority and in Mauritius by the Financial Services Commission. Berkeley Energy currently has three funds under management, two in relation to Asia: the Renewable Energy Asia Fund (REAF) which is fully deployed and the Renewable Energy Asia Fund II (REAFII) and the other in relation to Sub-Saharan Africa: the Africa Renewable Energy Fund (AREF). REAF, REAF II and AREF invest into development stage renewable energy assets using proven technologies. Investments are supported by local renewable energy legislation and commercial market drivers. Berkeley Energy develops projects and manages projects through construction and into operations. The Renewable Energy Asia Fund (REAF) invests into small hydro, wind, geothermal, solar, landfill gas and biomass projects in Asian developing markets, with a primary focus to date in India and the Philippines. The Africa Renewable Energy Fund (AREF) invests into small hydro, wind, geothermal, solar, stranded gas and biomass projects across Sub-Saharan Africa, excluding South Africa. The Renewable Energy Asia Fund (REAF II) invests into small hydro, wind, geothermal, solar and biomass projects in Asian developing markets, with a primary focus to date in India, Indonesia and the Philippines. Berkeley Energy has assembled a team with a balance of operating and financial expertise to underpin the successful execution of the firm’s strategy. Cumulatively, within Berkeley Energy, the management has invested in over 30 individual renewable energy projects in 9 different emerging markets. This experience of successfully identifying, costing, constructing and operating assets across technologies, countries and regulatory environments is a competitive advantage and key value driver for the firm. Berkeley Energy’s technical and operational capabilities are complemented with dedicated financing, legal and structuring professionals with experience in private equity, infrastructure and renewable energy transactions. This balance of operational and transaction expertise combines the project development, construction and operations expertise of an industrial firm, with the flexibility, financial rigour and discipline of a financial sponsor. Mr. Vere Nicoll is a co-founder of Berkeley Energy and is a partner and member of the Investment Committee of AREF, REAF and REAFII. He is a board member of Berkeley Energy Limited the holding company for the Berkeley Energy management group. Mr. Vere Nicoll leads the fund-raising and strategic direction of the firm. Mr. Vere Nicoll was previously with leading international law-firm Freshfields Bruckhaus Deringer in their Private Equity Team. Mr. Vere Nicoll has a first class BA from Oxford University. Mr. Vere Nicoll also founded, organised and took part in a ski traverse of the continent of Antarctica in 2004 and 2005 in the footsteps of Roald Amundsen. He has written a book about the experience; Riding the Ice Wind. Mr. Vere Nicoll is based in London. Mr. Kundi is a co-founder of Berkeley Energy. He is a board member of Berkeley Energy Limited, the holding company for the Berkeley Energy management group. TC Kundi is the Managing Partner, directing the firm’s development since its incorporation, and is a member of both REAF and REAF II Investment Committee and is the Chairman of AREF, REAF and REAFII Investment Committees. He is also a board member for all REAF and AREF portfolio investments. 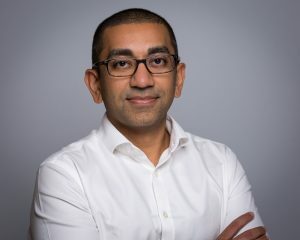 TC Kundi oversees Berkeley Energy Renewables Singapore, Berkeley’s subsidiary Singapore which provide operational and administrative support to the Asian Funds. Mr Kundi is one of a handful of professionals globally who has acted as a principal owner and operator of renewable energy assets for 25+ years. Mr. Kundi is a Mechanical Engineering (BEng Hons), and holds a post graduate Certificate in Business Administration from University of Warwick. He is a Chartered Mechanical Engineer (C Eng) with the IMechE and a Chartered European Engineer (Eur Ing) with FEANI. Mr. Kundi is based in Singapore. Mr. Buljan is the Managing Director for Africa and member of the investment committee of AREF. He is an experienced energy industry executive with a strong focus on emerging markets, particularly sub-Saharan Africa, and a track record in closing transactions and managing businesses. He was formerly the Chief Operating Officer of African Power Corporation, a power project developer where he worked on a 600 MW hydro project in Congo-Brazzaville. 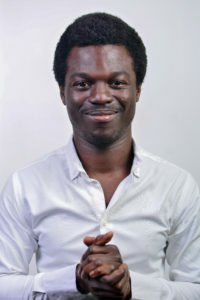 Prior to that he has spent ten years within investment vehicles for Actis Capital LLP, an emerging markets private equity investor, where he played several roles: CEO of Empower, a start-up providing interim power generation solutions in Africa and Director, Business Development at Globeleq, a company specialised in acquiring and developing power generation and distribution projects. With Empower and Globeleq Mr. Buljan closed several important transactions in power generation and distribution infrastructure in Uganda, South Africa, Tanzania, Mauritania and South Sudan, and pursued other projects in many other countries across the continent. Previously he has worked in the New Investment Office of CDC Capital Partners, the predecessor of Actis, as a management consultant in Italy and as an entrepreneur in Croatia. 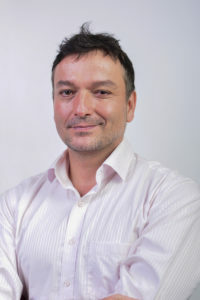 Mr Buljan holds an MBA from IESE Business School in Barcelona, a degree in Mechanical Engineering from the University of Zagreb and is fluent in five languages. Mr. Buljan is based in Nairobi. Mr. Brown is the Managing Director for the Asian funds and member of the Investment Committee of REAF and REAF II. He supports the partner group in sourcing, negotiating, structuring, executing and managing investments for REAF and REAF II. Mr. Brown has over 15 years’ experience in private equity, corporate finance and advisory work, across acquisitions, leveraged buy-outs, direct equity investments, structured carbon finance and strategy, with experience of operating in India, SE Asia, China, Korea, the Middle East, North Africa and throughout Europe. Before joining Berkeley Energy in 2012, Mr. Brown worked at KPMG and a private equity advisory boutique, whilst in his prior position to Berkeley, with Climate Change Capital, he was responsible for managing investments in the Indian and SE Asia region, leading and executing direct investments and holding board positions on investee companies. His technology experience includes biomass, wind, hydro, solar, waste to energy, industrial energy efficiency and biofuels. Mr. Brown holds a BSc from the University of Bristol and undertook a postgraduate engineering course in renewable energy technologies. Mr. Brown is based in Singapore. Ms. Killiard is general counsel for Berkeley Energy. Ms. Killiard is responsible for overall Berkeley Energy Group legal matters, investment holding structures, corporate secretarial, legal compliance as well as all for both REAF and REAF II relative to both debt and equity financings and divestments, including negotiation, structuring and documentation, as well as investment holding structures, corporate secretarial and compliance matters. 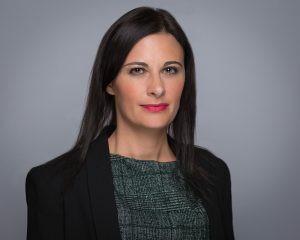 Prior to joining Berkeley Energy, Ms. Killiard was with international law firm CMS Cameron McKenna for six years in the infrastructure and project finance group, based in London. She is an experienced banking and project finance lawyer having advised numerous banks and financial institutions and borrowers, sponsors and consortia on a wide variety of project finance and corporate and structured finance transactions both in the UK and internationally across a broad range of sectors, including: energy; transport; defence; social infrastructure; and secondary markets. Ms. Killiard has an LLB (Hons) degree in Law and Italian from the University of Strathclyde,Glasgow. Ms. Killiard is based in Singapore. Mr. Mehta is Investment Director for REAF and REAF II and is responsible for leading the commercial and industrial renewable energy strategy for Berkeley Energy and management of the funds’ investments in India. Mr. Mehta has over 10 years of experience in financing energy projects across Europe and Asia. Prior to joining Berkeley Energy, Mr. Mehta worked in Siemens Financial Services leading and executing investments in the power generation sector with a special focus on offshore wind. He has previously worked in Earth Capital Partners, Man Group and Climate Change Capital as both an investor and advisor. Mr. Mehta holds an MSc in Finance from London Business School and an MSc in Environmental Change and Management from the University of Oxford. Mr. Mehta is based in Singapore. Mr Payne is responsible for the financial control and reporting of all portfolio investments, as well as the direction of operational plants. He is a member of the investment committees of AREF, REAF and REAF II. Mr. Payne has 15+ years’ experience of driving performance in operating businesses’. He has extensive experience in M&A activity, financial control, reporting, process improvement, strategic planning, system implementation, and building strong teams. Mr Payne has held senior finance roles in both the UK and Australia, including as Financial Controller for WRG developing the renewable energy business with TC Kundi. Mr Payne was also part of the ultimate spin off of that business into Infinis Plc and helped shape the continued growth. Mr Payne is a qualified Chartered Management Accountant (ACMA) and holds an Honours degree in Accountancy Studies. Mr Payne is based in Singapore. Mr. Zaib is responsible for financial reporting, controls, operations and compliance across Berkeley Funds. He comes with 12+ years of experience in the fund management industry working for leading financial services organisations including State Street Corporation, Capital Dynamics and The Bank of New York Mellon. Mr. Zaib has diverse experience covering regulated and non-regulated investment funds, private equity investments, valuation, investor relations and reporting, financial management and control, project finance, value creation, business planning and operations, audit, taxation, regulatory compliance and systems implementation in various jurisdictions, including UK, USA, EU, Singapore, Kenya, Philippines and Mauritius. Mr. Zaib is a Fellow Chartered Accountant (“FCA”) and holds MSt. Sustainability Leadership from University of Cambridge. He is fluent in Pashto and Urdu. Mr. Zaib is based in Singapore. Gordon is co-founder of SET3 and has over 30 years of private equity experience, and has over the past six years brought together the companies and management teams with the SET3 group including being principal of the Nobel Sustainability Fund. Prior to this he founded the private equity business ProVen Private Equity (now re-named Beringea) and led its buy-out from Guinness Mahon in 1997. 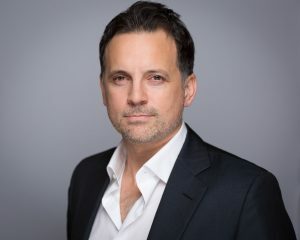 As CEO of ProVen from 1984 until 2004, he spearheaded the creation and marketing of funds and the investment and exit of deals as head of the investment committee. In 2003 ProVen had funds under management of $340M including Guinness Flight VCT, ProVen VCT and ProVen Media VCT (now re-named ProVen Growth and Income VCT) and funds from institutions such as Hargreaves Lansdown, Gulf International Bank, Standard Life, and Essex County Council. Gordon has invested in over 230 investments over the last 32 years, generating an IRR of 29%. During this time, he has made several sustainable technology investments; such businesses included forestry, plastic recycling and eco-friendly building materials and brand packaging. Gordon has an IRR of 45% from 29 sustainable private equity investments. Mr. Power is based in London. Mr. Reicher has been an independent member of all Berkeley Energy’s investment committees since the inception of the first fund. Mr. Reicher has 20+ years of private equity investment and 10+ years of investment banking experience. He is one of a limited number of professionals with deep investment experience of emerging markets and infrastructure, with particular expertise in Asia and Africa, the creation of public/private partnerships, and infrastructure (particularly power generation). He has a successful investment track record in these fields, and in creating and re-engineering processes and devising innovative financial structures. From 2000-08 Mr. Reicher worked with Commonwealth Development Corporation (including the private equity firm Actis which was created in CDC’s privatisation process), as its Chief Investment Officer (chairing all the investment committees), head of its first Infrastructure Fund, and then CEO of Globeleq, the wholly-owned electricity generation company operating in Africa, Asia and Latin America. The funds he was involved with at CDC all achieved high cash multiples and rates of return. Prior to CDC he worked with Credit Suisse First Boston and Citicorp. 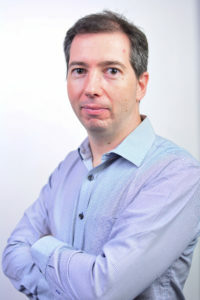 Mr. Reicher has a BA in Economics from Cambridge University, and a MA in Economics from the University of Pennsylvania. Mr. Reicher is based in London. 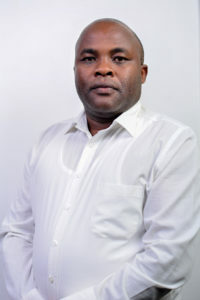 Edward Njoroge is a member of the investment committee of AREF. For 10 years up to mid-2013, he was the Managing Director of Kenya Electricity Generating Company (KenGen). While at KenGen, Mr. Njoroge played a pivotal role in the strategic and operational transformation of the company and its successful flotation on the Nairobi Stock Exchange. His vision was for Kenya to be powered by green energy and he is credited with having implemented several hydro projects, the first wind project and the biggest geothermal plant in Kenya. Mr. Njoroge is currently the Chairman of the board of the Nairobi Securities Exchange, and Telkom Kenya Limited, Chairman of the Investment Committee of the Aureos East Africa Fund and board member of Globeleq. He is a member of the Board of CfC Stanbic Bank and Real Insurance Ltd. He was previously chairman of the World Energy Council Kenya Chapter and the President of the Union of Producers, Transporters and Distributors of Electric Power in Africa. Mr. Njoroge is based in Nairobi. Mr. Joost van Acht is responsible for origination, negotiation, structuring, execution and management of investments in Indonesia. He is a renewable energy executive and entrepreneur, with extensive experience in emerging markets and the clean energy sector in Asia. Mr. van Acht was previously with Macquarie Capital, an investment bank with a strong focus on infrastructure finance. His focus at Macquarie was on principal investments in the clean energy sector in Asia. Prior to that he was with UPC Renewables, a global developer of wind and solar projects, where he initiated its solar business in Indonesia and led public tender submissions for IPP projects. He has previously initiated several businesses in the field of environment and energy, and is a co-founder of Blue World Carbon. 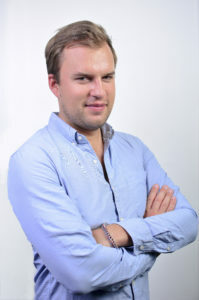 Mr. van Acht holds an MSc from Erasmus University Rotterdam and has been based in Asia since 2002. Mr. van Acht is based in Singapore. 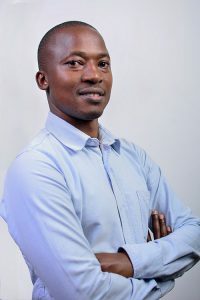 Mr. Chuchu is a finance professional with over two and a half years of experience working in the African on-grid and off-grid renewable energy sectors. He joined Berkeley Energy in January 2019 as an Investment Analyst focussing on financial modelling, due diligence, investment analysis and commercial negotiations. 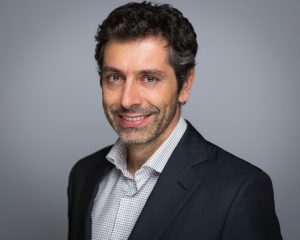 Prior to joining Berkeley Energy, he worked at PowerGen Renewable Energy on the Capital Raising Team piloting project finance structures for African mini-grids, assisting with venture capital fundraising and contributing to mini-grid strategy and business development in East and West Africa. 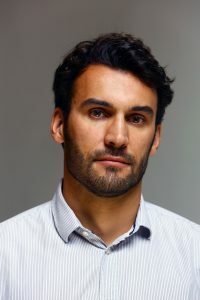 Before joining PowerGen Renewable Energy he worked for responsAbility Investments AG as an Analyst working primarily on developing and investing in utility-scale solar and small hydro projects across sub-Saharan Africa. Mr. Chuchu holds a BBS in Actuarial Science from Strathmore University, Kenya. Mr. Chuchu is based in Nairobi. Ankit is an Investment Associate primarily focused on Berkeley Energy’s activities in India. Ankit has over six years of experience in investment banking and project financing in infrastructure. 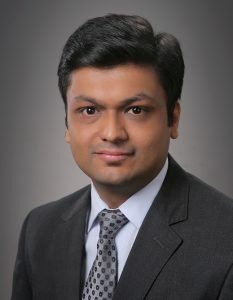 Prior to joining Berkeley, Ankit worked in the Corporate Finance department in KPMG India where he focused on deal execution in the healthcare and industrials sectors. He has previously worked with SBI Capital Markets Ltd, a leading Indian investment bank, focused on project financing in the infrastructure space. Ankit has a Bachelors in Computer Engineering, an MBA and is a CFA Charter holder. Ankit is based in India. Mr. Johar is an Investment Manager for REAF and REAF II. He is responsible for the firm’s projects in the Philippines. He is involved in financial analysis of investments, preparation of investment papers and management of various aspects of the transaction process (including co-investment and project finance debt raise). He also screens and evaluates potential investment opportunities for the Asian Funds. Mr. Johar is a finance professional with extensive experience in investment analysis, business modelling and valuation. Prior to Berkeley Energy, Mr. Johar has worked with the Transaction Advisory team at Ernst & Young. He has advised clients in the infrastructure sector (conventional power, renewable energy and roads) on project finance, debt raise / restructuring, private equity and bid advisory. 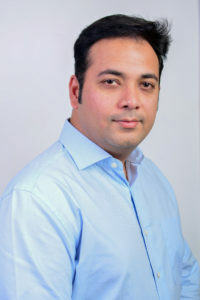 Mr. Johar holds an MBA from Indian Institute of Management (IIM), Lucknow and received his Engineering degree in Metallurgical Engineering and Materials Science from Indian Institute of Technology (IIT), Bombay. Mr. Johar is based in Manila. Mr. Kesterton is responsible for AREF’s investments in Ethiopia and Ghana, among other markets. He has 15 years’ experience as an investment professional with a track record of developing and financing power and infrastructure deals in multiple jurisdictions. After qualifying as a Chartered Accountant with Deloitte London he moved to the investment team at BP Alternative Energy where he structured renewable energy IPPs across Europe and Asia. While at BP he also helped establish the group’s emissions asset aggregation business. Prior to joining Berkeley Energy, Mr. Kesterton worked for 8 years at the Asian Development Bank in Manila and subsequently at the European Bank for Reconstruction and Development in London where he led project financings of numerous conventional and renewable energy projects. While at EBRD he was instrumental in building a portfolio of over 1,000MW in Jordan and financed the largest geothermal complex in Turkey and the first wind farm in Serbia. 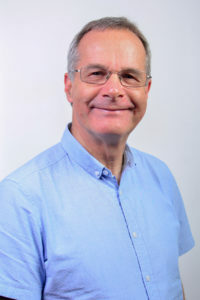 Mr. Kesterton is a member of the Institute of Chartered Accountants in England and Wales and has an MSc (Distinction) in Environmental Technology and Energy Policy from Imperial College, London. Mr. Kesterton is based in Nairobi. Mr. Kimani is a finance professional with 5+ years of experience in Investment Banking, Private Equity, and Project Finance. He joined Berkeley Energy in January 2019 as an Investment Analyst in the AREF team focusing on financial modelling, valuation, financial structuring, and due diligence. Prior to joining Berkeley Energy, Mr. Kimani worked for the International Finance Corporation (IFC) as an Investment Analyst where he participated in the execution of various Project Finance deals across the region. He has deal-experience in the energy, infrastructure, FMCG and financial services sectors. Mr. Kimani holds a BA in Economics and a B.Com in Finance, both from the University of Nairobi. He is currently pursuing his CFA Charter. Mr. Kimani is based in Nairobi. Monzi is a finance professional with 4+ years of experience in transaction advisory services. He joined Berkeley Energy in July 2017 as an Investment Analyst in the AREF team focusing on financial modelling, valuation, financial structuring and due diligence. Prior to joining Berkeley Energy, Monzi worked for KCB Capital as an Investment Banking Analyst where he played an integral role in execution of investment banking assignments. He has deal-experience in the energy, infrastructure, FMCG and financial services sectors. Monzi spent three years with the British Army as an Officer Cadet and later on as a Trooper. Mr. Monzi is based in Nairobi. Jonathan is a finance professional with background in accounting, financial reporting, investment analysis and valuations.As a member of Berkeley Energy’s investment team, Jonathan focuses on preparing and reviewing financial models for new and existing investments for analysis and valuations, as well as more broadly supporting the firm’s investment activities across the renewable energy sector. Before joining Berkeley Energy, Jonathan worked 2 years for a fund which operates primarily in the Indian Solar C&I space; he was responsible for monitoring and reporting on the portfolio, financial modelling, and supporting fund raising activities. His other work experiences include stints in one of the Big 4 accounting firms, a commercial bank and a car distributor. Jonathan holds a BSc in Accounting and Finance from the University of London. Jonathan is based in Singapore. 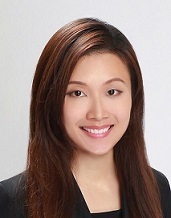 Han Lyn is a finance professional with more than 3-years’ experience in M&A advisory and infrastructure. She joined Berkeley Energy in August 2018 as an Investment Associate focusing on financial modelling, financial structuring, valuations and due diligence. Prior to joining Berkeley Energy, Han Lyn worked at PricewaterhouseCoopers as an M&A advisor with deal experience in infrastructure, real estate and financial service sectors. Han Lyn holds a Master’s degree in Economics and Management Science from Humboldt University of Berlin and a BSc in Mathematics and Economics from Nanyang Technological University in Singapore. Mr. Tatrallyay is an investment professional with 8+ years’ experience in environmental finance and renewable energy investments. Mr. Tatrallyay is responsible for the firm’s investments in Uganda, Tanzania and Cameroon. Prior to joining Berkeley, Mr. Tatrallyay was a Director at a solar developer. He developed the company’s strategy for Africa and was in charge of building relationships with funding institutions and EPC firms, as well as originating and evaluating new project opportunities in Africa. Prior to this, Mr. Tatrallyay worked at Climate Change Capital (‘CCC’), an asset manager and advisory group focused on the transition to the low carbon economy. At CCC, Mr. Tatrallyay was responsible for managing and co-managing CCC’s emission reduction projects and equity and structured finance investments in South East Asia, Central Asia and Latin America and developing new investment opportunities and strategies for CCC. Aside from his work at CCC, Mr. Tatrallyay has written papers on climate finance and is a guest lecturer at Imperial College where he has given presentations on the intersection of climate and project finance. He is fluent in French. Mr. Tatrallyay is based in Nairobi. Mr Cellier is responsible for the Operations of our operating projects across the REAF and REAF II portfolio. His main responsibilities includes maximizing production and ensuring the right level of maintenance, whilst keeping a close oversight of the overall assets profitability over the long run. He has previously worked for 13 years in the EDF Group (Electricite De France) and had the opportunity to lead many teams in the Hydropower Division, from operations and maintenance to asset management over a wide range of hydropower plants in the French Alps Region. 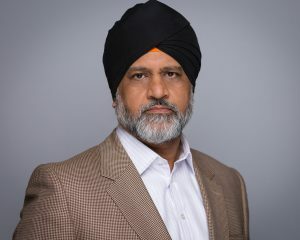 Prior to joining Berkeley, he was an executive officer of EDF in Reunion Island (Indian Ocean), in charge of the operations of 210MW’s of installed capacity and projects development, in particular with the feasibility studies of a 59MW hydropower plant and commissioning of a 5MW battery storage facility. Mr. Cellier holds a Mechanical and Industrial engineering Master’s degree from Ecole Nationale d’Arts et Metiers (Paris) and also studied in Denmark Technical University (Copenhagen). Mr. Bermejo is a project manager working on all engineering aspects of projects including technical due diligence, contract tendering and negotiation, coordination of lender technical evaluation, project management and operations related to projects in Africa. Mr. Bermejo has twenty-plus years of experience in project development, construction and operations management within the wind, hydro, solar and infrastructure sectors across Europe, Latin America, Canada and in the MENA and APAC regions. Mr Bermejo has held senior management positions in EPC construction management, projects director, as turn-key/EPC contractor, Owner´s Engineering, EPCM, consulting & advisory services. Prior to joining Berkeley Energy, he was the Head of Global Wind at Worley Parsons, based in Madrid. He holds a MSc in Industrial Engineering, PMP and Master’s in Business Administration from EOI in Madrid. Mr. Bermejo is based in Nairobi. Mr. Dasilva is an electrical engineer. 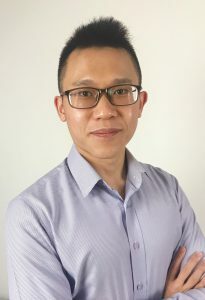 His role at Berkeley Energy includes technical due diligence, project feasibility, engineering, contract management, project management and coordination with partners, particularly related to ground-mounted and roof-top solar projects in Asia. Mr. Dasilva has over 25 years of experience in project development, feasibility, engineering, contract management and construction in the solar, water treatment and oil and gas. He has led the construction of over 240MW of solar PV projects in India. 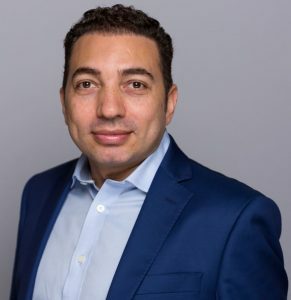 Prior to joining Berkeley Energy, Mr. Dasilva was Head of Solar Development for an IPP in Africa based in Gabon developing solar PV projects and immediately prior to that, was Head of Construction with Waaree Energies in India. Mr Dasilva has also worked with Schneider Electric as solution architect in the water and waste water segment and began his career with Larsen & Toubro. Neville is based in New Delhi. Mr. Gnassounou has experience in renewable energy projects across Europe and Africa. He is currently involved into engineering, due diligence, and project management of AREF projects. Mr. Gnassounou previously worked at the African Biofuel and Renewable Energy Company where he held a Project Officer position on projects in all 8 WAEMU countries and in Chad. He previously worked for a solar developer in designing, planning and delivering renewable energy projects. Mr. Gnassounou holds a BEng in renewables energy (University of Montpellier) and a Master’s degree in Project Management (EI.CESI). Mr. Gnassounou is based in Nairobi. Mr. Philip Scott is a highly qualified project manager who is conversant in all engineering aspects of renewable energy projects with a specialism in hydro-power. Mr. Scott has 18 years of technical & management experience gained through a successful career in EPC and EPCM projects. Successful achievements to date include full overall management of 2 x 1000MW world-renowned, reversible hydro power projects from initial concept proposal through to operations in line with all regulatory & legislative requirements. Mr. Scott is an experienced and certified professional, with qualifications including a BSc in Mechanical Engineering; a BSc in Business Administration; and an HND / HNC in civil engineering – all from the University of Aberdeen. In addition, Mr. Scott is a certified PMP (Project Management Professional). Prior to joining us Mr. Scott worked as project manager for specific projects in India and China and prior to that with Scottish Hydropower in the UK. Mr. Scott is based in Manila. Mr. Theron is the General Manager for Berkeley Energy Uganda, working on all engineering aspects of projects including technical due diligence, contract tendering and negotiation, coordination of lender technical evaluation, project management and operations related to projects in Uganda. 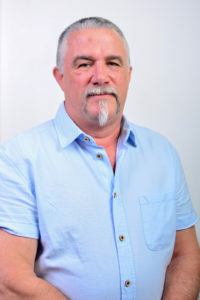 Mr. Theron has thirty plus years of experience in project development, construction and operations management within the civil engineering industry. Over the past 10 years Mr Theron focused mainly on the development of Run-of-River Hydro, and delivered the first small Hydro, the 10MW Kakamas Hydro Electric Power Plant, under the REIPPP program in South Africa. This project was delivered through non-recourse finance. He has further owned and managed civil construction companies in South Africa and Ireland. Prior to joining Berkeley Energy, he held the position as owners engineer and as CEO of the Kakamas project during construction and the first two years of operation. He holds a Diploma in Civil Engineering, from The Cape Technicon, in Cape Town. 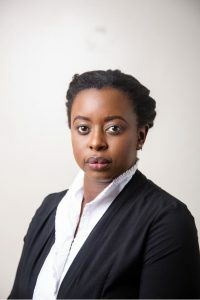 Gonyi Ajawin is responsible for all legal and compliance matters for AREF and is an integral member of the investment team working on the structuring and negotiation of equity and debt financing. Mr Gonyi trained and qualified as a lawyer in the structured finance team of Mayer Brown International LLP (working in both the London and Hong Kong offices) before joining the energy, infrastructure and project finance team at Fasken Martineau LPP as a Senior Associate. Mr Ajawin has completed client secondments to Lehman Brothers Europe, UniCredit Bank AG and the East African Development Bank. Among his previous experiences, he has advised clients on a broad range of international capital markets transactions, securitisations (and other complex structured offerings) and project finance matters (with a particular focus on emerging markets). Mr. Ajawin also has extensive experience advising European, Middle Eastern, and African sovereigns, corporates, and financial institution issuers and their bankers on a broad range of securities products, global offerings, commercial paper programs, Eurobond offerings, and private placements (including dealing with key regulatory authorities in various jurisdictions). Mr. Ajawin has a Bachelors of Laws degree from the University of Bristol and a Postgraduate Diploma in Law from Oxford Institute of Legal Practice. Mr. Ajawin is based in Nairobi. 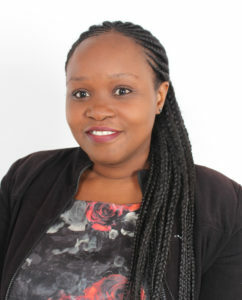 Valary has more than 8 years of financial management and audit experience, having started her career at Deloitte and Touche Nairobi, where she worked for 5 years in various positions in the audit department. 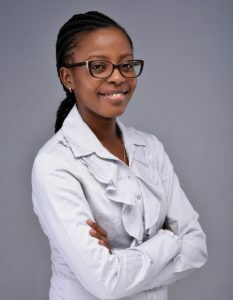 Prior to joining BE, Valary was a Financial Controller, responsible for leading the accounting and financial reporting functions at Mobile Decisioning Africa Limited, a mobile financial technology firm providing digital financial services with operations across Africa, Middle East and Asia. She holds a BSc. in Actuarial Science from the University of Nairobi. Juriah Aziz is the Office Manager based in Singapore with over 12 years of professional experience. 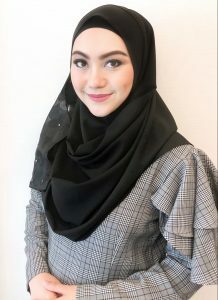 Ms Aziz specializes in office management and has worked for the British High Commission in Singapore and subsea provider companies, Harkand Asia Pacific and Hallin Marine. Ms Aziz holds a BA (Hons) in Business Management from the University of Derby. She is a keen linguist and speaks several languages including Malay, Bahasa Indonesia, Mandarin and Arabic. Ms. Bonnick is responsible for Environmental and Social management across the organisation specifically relating to early stage risk assessment and categorisation, supporting the portfolio team on a day to day basis to maintain E&S compliance and awareness, and ensuring continued alignment with investors regarding their prescribed E&S requirements. She has primary responsibility for the Asia portfolio as well as working on African projects. 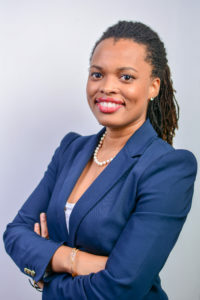 Prior to joining Berkeley, Ms. Bonnick was a Senior E&S Analyst responsible for (renewable) energy projects at FMO (the Dutch development bank). She has 4+ years assessing the E&S risks and seeking opportunities for energy projects, managing consultants as well as maintaining the E&S quality of the portfolio specifically for projects in Africa and Latin America. Prior to FMO, Ms. Bonnick worked as a project engineer in Jamaica. She holds a Master’s of Science in Environmental and Energy Management and a Bachelor’s of Science in Civil Engineering. Ms. Bonnick is based in Singapore. Ms. Bray is a finance professional with 9 years of experience in corporate and project finance. At Berkeley Energy, Ms. Bray assists both the Asian and African teams by reviewing and preparing financial models for new and existing investments as well as modelling and analysing fund returns. She also supports the team with market research, analysis and due diligence. Originally from New Zealand, Ms. Bray worked at Deloitte in Auckland leading the financial modelling practice and advising clients across various sectors including transport, telecommunications, power and waste. In 2014 Lucy moved to Singapore and into the infrastructure and modelling team at KPMG where she worked on project finance and PPP transactions within South East Asia and the Middle East. Ms. Bray is a CFA charter holder and holds a conjoint Bachelor of Commerce / Bachelor of Science with majors in finance and applied mathematics. Ms. Bray is based in Singapore. Jay is the HR Manager for the Berkeley Energy Group reckoning over 10 years of experience as an HR professional cumulating HR consultancy and in-company HR leadership roles. 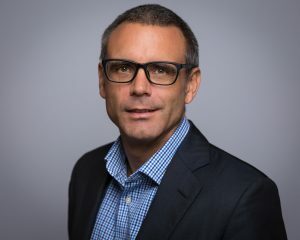 Prior to joining Berkeley Energy, Jay held management positions notably as People & Culture Leader (Head of HR) with Grant Thornton, HR Senior Manager with Cim Global Business and HR Consultant with Rogers Capital. Jay worked with Ernst & Young and Edge Consulting in the early stages of his career. Jay holds a Bachelor’s degree in Management from the University of Mauritius and a Master’s degree in Human Resources Management from the Edinburgh Business School of Heriot Watt University. Jay is also a Certified Master Practitioner of NLP. Jay is based in Mauritius. Beatrice Goin is the Office Administrator and is responsible for providing administrative support to the African team based in Nairobi. She comes with 5 years experience in administrative duties, research, relationship management and marketing. She has worked in media, research technology and the airline industries. Beatrice holds a BSc degree in Mathematics from The Catholic University of Eastern Africa. Mr. Gonzales is the Legal Counsel for Berkeley Energy, responsible for providing legal support to the growing portfolio of Philippine projects invested in by the Asian funds. He acts as the corporate secretary for Philippines investment and holding companies, manages corporate governance practices and provides general transaction and corporate support for REAF and REAF II. 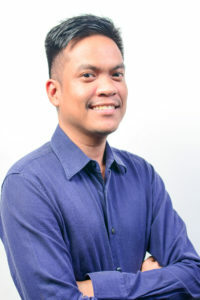 Before joining Berkeley Energy, Mr. Gonzales had nine years of experience as a lawyer in the Philippines specialising in the natural resources industry and renewable energy sector. He worked for PetroEnergy Resources Corporation, a publicly listed Philippines company, for over five years where he was responsible for handling various corporate, legal, contractual and regulatory issues and requirements of PetroEnergy’s renewable energy projects. Mr. Gonzales holds a Bachelor of Science degree in Geology and a Bachelor of Laws, both from the University of the Philippines. Mr. Gonzales is based in Manila. Mr. Kasaine has seven years work experience, primarily in the power and energy sectors. 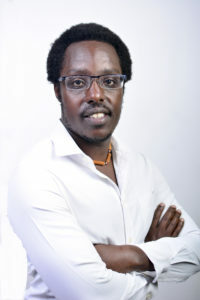 Mr. Kasaine has a Bachelor of Law from the University of Nairobi, Kenya; a Postgraduate Diploma in Law from the Kenya School of Law; and a Bachelor of Business Management and Marketing from Edith Cowan University, Perth, Australia. He is admitted to the Kenyan Bar and is licenced to practise as an advocate of the High Court of Kenya. He is previously worked on the development of two large thermal power projects in Kenya and as legal counsel for a downstream oil & gas company. Mr. Kasaine is based in Nairobi. Mr. Kizito is responsible for financial control across the Africa portfolio. Mr. Kizito is an accounting and financial management professional with over a decade of experience across leading industrial companies in Kenya and the Eastern Africa region. Over this time, Mr. Kizito has spent over five years working within senior management roles, and has a rich depth of experience in streamlining financial management systems and business operations. Prior to joining Berkeley Energy, Mr. Kizito worked as Finance Manager at G4S Kenya Group, overseeing both strategic and financial management operations across its security solutions businesses. Mr. Kizito is a Certified Public Accountant (Kenya) and has a Master of Business Administration from the University of Nairobi. Mr. Kizito is based in Nairobi. 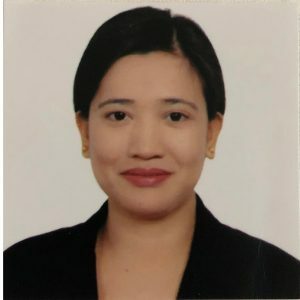 Cirisa Manaig is a Certified Accountant in the Philippines, responsible for the financial control for the Philippines portfolio. She has more than 16 years of experience in Finance in various industries, including banking, real estate and energy. Prior to joining Berkeley, she has worked as a Controller/ Finance Head in the Philippines’ largest Solar Developer, Investor, EPC Contractor and Manufacturer, with 800-mw solar panel factory, 63.3-mw solar farm currently supplying power in Western Batangas and a 150-mw solar farm under construction in Central Luzon region. She has likewise served as Finance Head for a PEZA-registered Industrial Park, an 82-mw power generation plant and for a power distribution utility for over 7 years. Ms. Manaig is based in Manila. 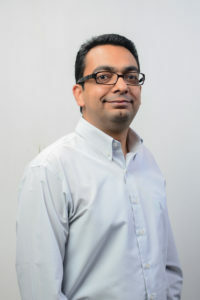 Parvez Musaphur is the IT Manager for Berkeley Energy Group and is responsible for IT infrastructure, procurement, IT policies and enterprise communication. Mr. Musaphur comes with 18 years of experience in the IT industry. 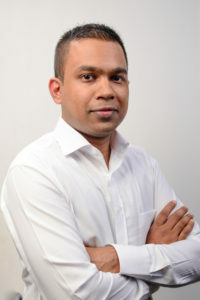 Prior to joining Berkeley, he worked for several offshore companies, Government of Mauritius and more recently as Head of IT for Linkbynet. 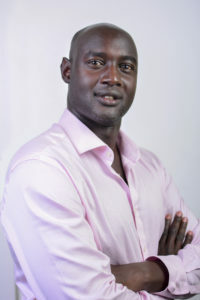 Mr. Musaphur holds an MBA and BSc in IT Enterprise and Business Informatics. He is also ITIL & Information Security Management System (ISO27001) certified. Mr. Musaphur is based in Mauritius. Ms. Mutahi is a Finance Manager responsible for financial control in certain of AREF’s investments. She has over 8 years’ experience in accounting in the automotive, manufacturing and real estate industry. 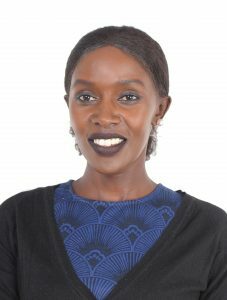 Prior to joining Berkeley, Ms. Mutahi was the finance and administration manager of a local real estate firm where she was responsible for the finance function, managing the company’s properties and the ongoing construction projects. Ms. Mutahi holds a BSc. degree in International Business Administration – Finance option from United States International University. Ms. Mutahi is based in Nairobi. 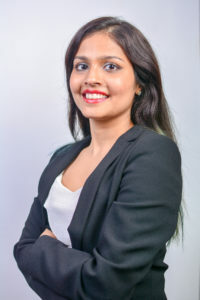 Ms.Nahar is legal associate for REAF and REAFII, providing support to the investment team on the structuring, negotiation and documentation of equity and debt financings. She also manages the investment holding structures, corporate secretarial and compliance matters. 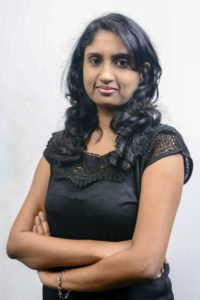 Ms. Nahar is dual-qualified (UK and India). She is an experienced banking and project finance lawyer, having trained with Clifford Chance in London prior to joining the Banking and Finance team of Allen and Overy in Singapore in 2012 where she worked on numerous transactions in South Asia and South East Asia including India, Indonesia and Bangladesh advising a wide variety of lenders, development finance institutions, sponsors and private equity funds in respect of project finance, corporate finance and acquisition finance transactions. Ms. Nahar joined Berkeley Energy at the beginning of 2016. Ms. Nahar is based in Singapore. Samuel is the Environmental and Social Manager with primary focus on the BE AREF portfolio. 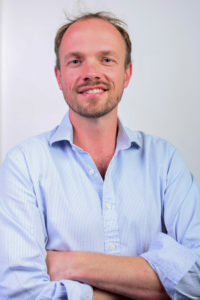 Samuel has over 10 years’ experience working as a senior consultant across Africa focusing on environmental and social risk assessments, due diligence assessments, internal and external audits, stakeholder engagement and monitoring and management of projects. 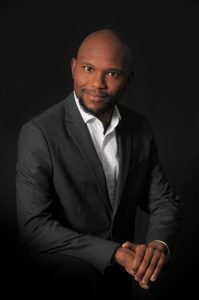 Samuel has worked for international consulting firms and brings into BE extensive African experience that will assist in addressing project related environmental and social challenges to ensure projects create positive value and sustainability in the long term. Samuel holds a Master’s degree in Environmental Science from the University of the Witwatersrand and is based in the Nairobi office. Ms. Nthambi comes with experience in office and project administration gained from providing administrative support to various teams and departments in her current and previous roles. She has worked in the Manufacturing, Education and IT sectors. She is passionate about administration, people and projects and is responsible for providing a high level of administrative support to the African team based in Nairobi. Ms. Nthambi holds a BA degree in Communication from the University of Nairobi and is based in Nairobi. Mr. Saxena is portfolio finance controller for REAF and REAF II. He works with project companies to set up financial reporting processes and control procedures, maintain the treasury of the portfolio companies and establishing consistent project-level accounting and reporting systems. Mr. Saxena is a chartered Accountant from the Institute of Chartered Accountants of India with over nine years of post-qualification experience in India GAAP audits and reviews, technical consultancy and subject matter reviews under International Financial Reporting Standard (IFRS) and US GAAP, audits and reviews of asset management companies under US GAAP and IFRS, SOX compliance audits, process reviews and controls. 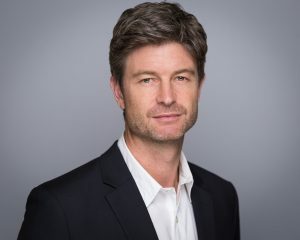 He has worked in assurance and business advisory roles at Lovelock & Lewes (a member firm of PricewaterhouseCoopers) and was working as a Manager at Deloitte & Touche before joining Berkeley Energy. Mr. Saxena has worked in various sectors such as asset management/financial institutions, telecom, banking and healthcare. Mr. Saxena is based in New Delhi. Mr. Soobarah is responsible for corporate accounting and reporting across the Berkeley Group.He has over 7 years of experience in the sector. Prior to joining Berkeley Energy, Mr. Soobarah was a regional accountant at Puma Energy Services Africa Ltd. 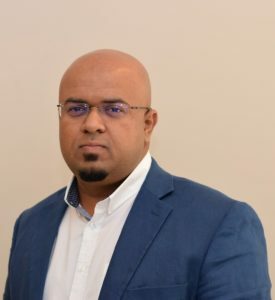 Previously, he worked at CIM Corporate Services Ltd and Deutsche Bank (Mauritius) Ltd.
Mr. Soobarah holds a BSc degree in finance from the University of Mauritius and is also an associate of the Association of Chartered Certified Accountants (UK). Mr. Soobarah is based in Mauritius. Ms. Vydelingum is responsible for fund accounting and reporting in Mauritius. She has over 6 years ofexperience in the sector. Prior to joining Berkeley Energy,Ms. Vydelingum was a fund accountant and administrator in a management company. 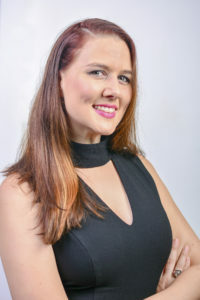 Previously, she worked at Deutsche Bank (Mauritius) Ltd.
Ms. Vydelingum holds a BSc degree in management with finance from the University of Mauritius and is also an associate of the Association of Chartered Certified Accountants (UK). Ms. Vydelingum is based in Mauritius. 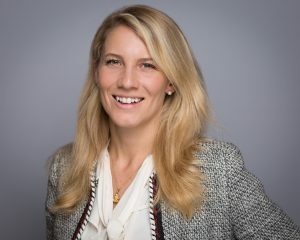 Georgina Willcocks is the Executive Assistant responsible for providing a high level of support to the founding partners and executive management team. Based in London, Ms. Willcocks has more than eight years of previous experience providing administrative support to various brands and private families. Ms. Willcocks enjoys working in diverse, multicultural teams and facilitating the success of the team she provides support to. Ms. Willcocks holds a BA degree in Advertising and Marketing from the University of Bournemouth, England.